Philip Ervin went 1-for-3 with a three-run homer in the Reds' 5-2 spring victory over the Rangers. Ervin has been a force at the plate this spring, hitting .344 with a 1.307 OPS and five home runs in 32 AB. Unfortunately for Ervin, the Reds have a crowded outfield situation and unlike other players Ervin still has a minor league option. 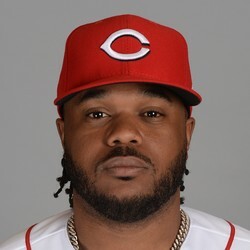 The Reds may elect to DFA someone and keep Ervin on the roster, however, as he is probably their best defensive centerfielder on the forty-man roster. Even if he makes the opening day roster playing time will be scarce and he'll have little-to-no fantasy relevance.